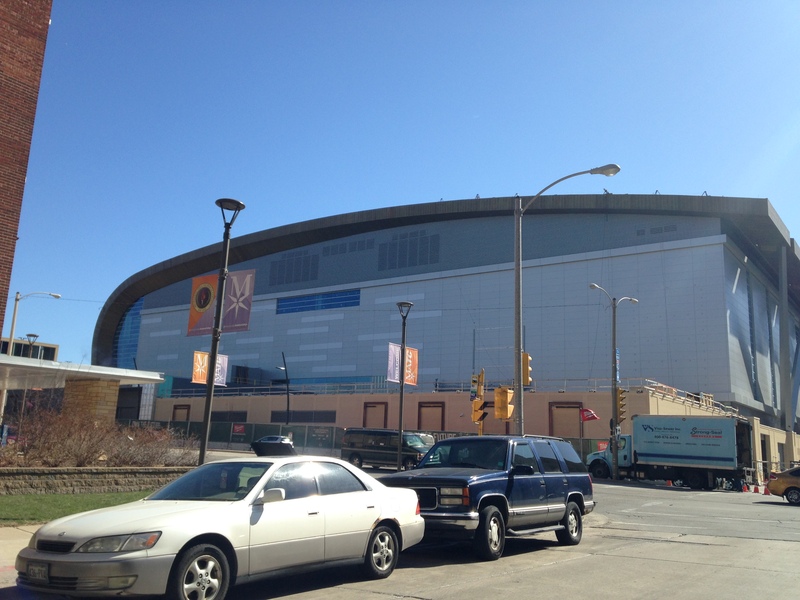 Street construction on my usual route to work has me driving past the new Milwaukee Bucks arena from different directions and at different times of day than usual. These literal shifts in perspective have led me to discover something kind of cool: the walls of the arena change color depending on the light. Here’s a picture from last week Wednesday morning, taken from the west, heading east. Here’s a picture from last Thursday evening, taken from the north, heading south. Last night I drove past, from south to north, around 7:20 pm, and that gray was an even more mellow, creamy shade, like a dove’s breast. Traffic was too heavy for me to get a photo. I’ll try if I get another chance. Clearly the shifts in color have something to do with the light, but I’m not sure exactly what’s going on. Nonetheless, it’s pretty spectacular. Reminds me of how Lake Michigan also constantly changes its appearance, with a different look every single day. 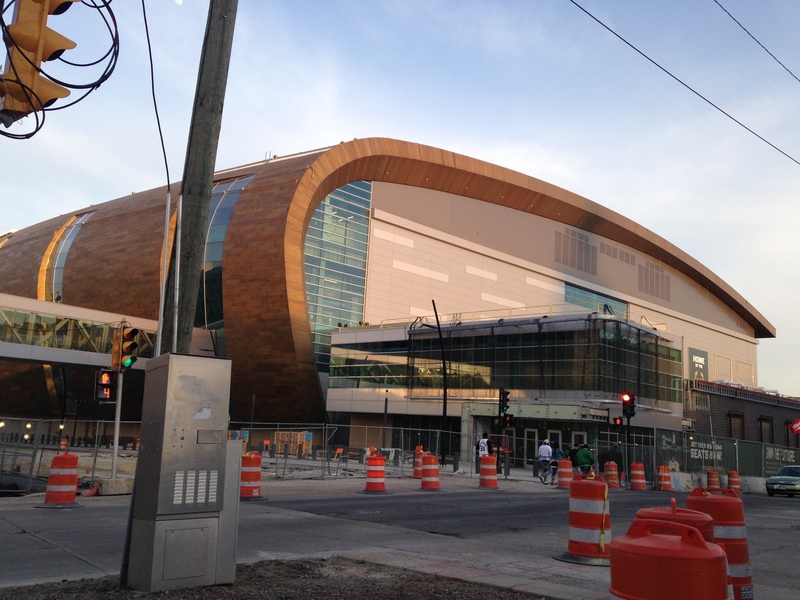 This entry was posted in architecture, Life, Milwaukee, Photography and tagged basketball, color, Downtown Milwaukee, Milwaukee, Milwaukee Bucks arena, sports. Bookmark the permalink. Interesting comparison. The building itself looks sorta like a big wave, doesn’t it? Very appropriate for a Great City by a Great Lake.